Dallas Keuchel is a two-time All-Star baseball player for the Houston Astros. The left-handed pitcher, who won the World Series in 2017, was selected in the seventh round of the 2009 MLB Draft after playing college baseball for the University of Arkansas. Keuchel went on to make his major league baseball debut in 2012 before going to win three consecutive Gold Glove Awards and the coveted Cy Young Award. On the 1st of January, 1988, in Tulsa, Oklahoma, Dennis and Teresa Keuchel welcomed their youngest child, Dallas Keuchel. 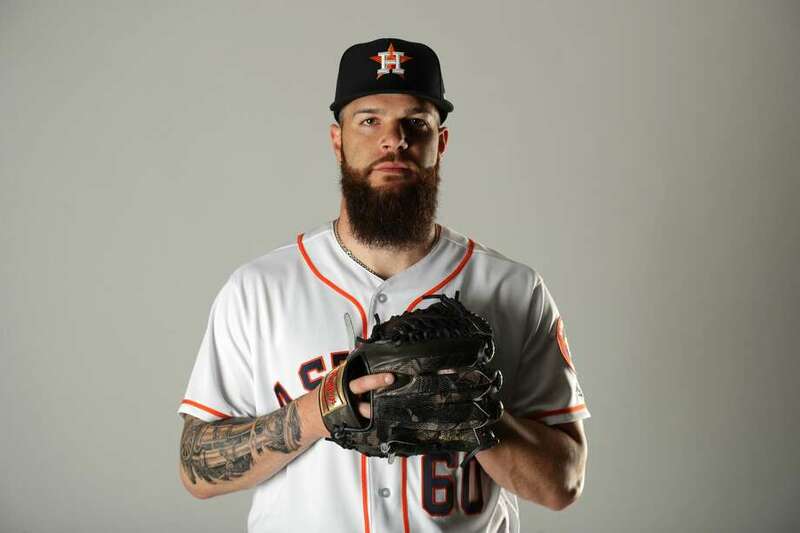 Thanks to his parents’ love for sports, Keuchel, who has been described as a sports nut when he was a kid, actively played basketball, football, and baseball from kindergarten to high school. Keuchel attended Bishop Kelley High School in Tulsa where he was both a standout pitcher and quarterback for the school’s baseball and football teams. He notably helped his baseball team win a state championship before enrolling at the University of Arkansas where he played college baseball. In his freshman year as a part of the Arkansas Razorbacks baseball team, Dallas Keuchel registered a 5.88 earned run average. In his sophomore year, he managed 4.58 earned run average, and a 3.92 earned run average in his junior year before he was selected by the Houston Astros in the 2009 MLB Draft. After signing with the team, Dallas Keuchel began his professional playing career with the Tri-City ValleyCats of the Class A-Short Season New York–Penn League. In 2010, he moved to join the Lancaster JetHawks of the Class A-Advanced California League where he registered a 3.36 earned run average. His performances prompted the Astros to promote him to the Corpus Christi Hooks of the Class AA Texas League where he continued to impress and earn another promotion to the Oklahoma City RedHawks of the Class AAA Pacific Coast League before he eventually made his major league baseball debut in June 2012 for the Astros. In his first full major league baseball season, Dallas Keuchel registered a 5.27 earned run average. The following year, he showed minimal improvement by managing a 5.15 earned run average. By 2014, however, Keuchel was able to improve his game by registering a 2.93 earned run average which earned him a finalist position for a spot on the American League roster for the 2014 MLB All-Satr Game. More importantly, though, he won both the Gold Glove Award and Fielding Bible Award. From that point onwards, Keuchel’s career went from height to height as he again managed to win the Gold Glove Award and the Fielding Bible Award and also added the Cy Young Award and the Warren Spahn Award in 2015. In 2017, Keuchel registered a 2.90 earned run average to help his team win the American League West division and then the 2017 World Series. In January 2018, Dallas Keuchel put pen to paper on a one-year $13.2 million contract with the Houston Astros. He had enjoyed a somewhat significant pay rise from his latest deal because prior to it, he was paid $9.15 million in 2017 and $7.25 million in 2016. Dallas Keuchel is not married but he does have a girlfriend, a blonde beauty named Mackenzie Valk. Ms. Valk, who is originally from Camp Hill, Pennsylvania, is a graduate of Fashion Merchandise from the Fashion Institute of Technology (FIT). She left school in 2010 and found work as an account executive at Valentino. She later moved on to a managing director position at Mi Piaci before landing her current position as sales manager at Gold Sports Collectibles. It is not clear when exactly the pair began dating or how they met each other but it is believed that Valk met her man at a baseball-related social event. Ever since the pair went public with their relationship, Valk has made an effort to attend most of his games wherever they may be even though she is based in New York while Keuchel plays in Houston. The long-distance relationship looks to be working for them at the moment as they seem to be very happy with how things are going. Dallas Keuchel’s height is listed at 6 feet 3 inches (1.91 m), which makes him three inches taller than the average baseball pitcher. His weight is further listed at 91 kg (200 lbs).